One insight the CCS gives is by Matthew Sparkes, Deputy Director for Financial Services. He explains that spend analysis is a meticulous process which many large companies in the private sector – never mind the public sector – would struggle to carry out on their own. “The government simply cannot afford to allow pockets of unnecessary spend to go unnoticed”, he tells us. “By combining our own CCS category expertise with our suppliers’ commercial expertise, we can ensure that the public sector pays only for the goods and services it actually receives”, he adds. We learn more about the excellent work of Twice2much, who provide a comprehensive review of accounts payable spend for finance directors, heads of audits and accounts payable teams to provide a comprehensive review of accounts payable spend. Going into more detail, we also find out that this firm provides the time, resource and expertise that many in-house teams cannot justify resourcing internally. For example, Twice2much provides clients with dedicated ‘expertise’ utilising their years of experience in spend recovery. They also invest in leading-edge technology – with access to unrivalled software, programming and dedicated resource, we discover. Whilst Twice2much believes that the combination of their proprietary software and methodologies are simply the best, they also invest significantly in developing software based on their experience of working with their clients. Twice2much supplies an end-to-end solution that not only identifies potential overpayments but also recovers refunds on behalf of clients and creates the right documentation for recovery. 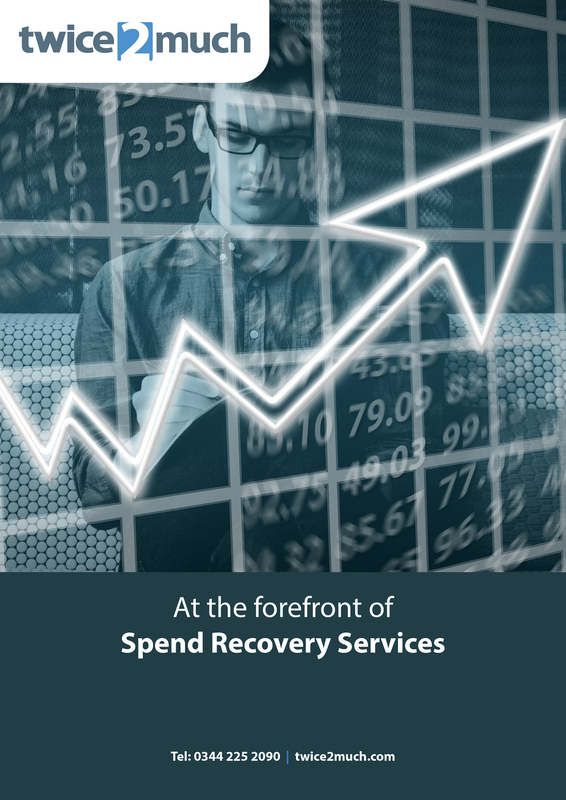 In terms of defining spend recovery, this is essentially a historical review of organisations spend (up to six years): “to confirm the integrity of transactions and identify opportunities leading to financial recovery or benefit.” In addition, we find out that spend recovery auditing is not limited to just core reviews, but covers a range of services, including contract compliance reviews, property reviews and utilities and telecoms reviews. Finally, Twice2much would be happy to discuss your options to facilitate greater returns from your spend recovery review.